Endeavor's Game Changing Entrepreneurs from Brazil, Egypt, Turkey and South Africa to Speak at Milken Global Conference. Endeavor, the leader in catalyzing high impact entrepreneurship worldwide, will be taking center stage at this year's annual Milken Institute Global Conference today. Five Endeavor Entrepreneurs from Brazil, Egypt, Turkey and South Africa will be featured on a panel entitled "Game-Changing Global Entrepreneurs" that will explore the important role that entrepreneurs play in generating the jobs and wealth needed to transform emerging markets into growth economies. "Whether in Latin America, the Middle East, South Africa or Indonesia, entrepreneurs face unique challenges and obstacles," says Endeavor co-founder and CEO Linda Rottenberg who will moderate the panel. "In addition to having few role models and a lack of support networks, they struggle with finding access to smart capital. We're hoping to address the latter issue by exposing the audience at Milken to some amazing stories of innovation and success coming out of countries that may not yet have caught their attention." -- Nevzat Aydin, Co-Founder and CEO, Yemeksepeti.com, Turkey's answer to seamless web has pioneered online ordering and home delivery of food in Turkey, Russia and the UAE. -- Mario Chady, CEO and Co-Founder, Grupo Trigo, Brazil's leading casual dining chain manager with over 250 branches. -- Vinny Lingham, CEO of Gyft.com, a South African entrepreneur whose previous company Yola has its website building software featured on all new HP computers. Vinny now resides in Silicon Valley. -- Amr Shady, Founder and CEO, T.A. 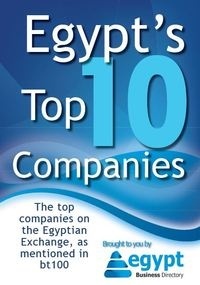 Telecom, an Egyptian leader in mobile platforms whose signature Buzz! technology powers content sharing via SMS. -- Leila Velez, Co-Founder and CEO, Beleza Natural, a $70 million chain of beauty salons catering to the Afro-Brazilian market. In addition to moderating the "Game-Changing Global Entrepreneurs" panel on Monday afternoon, Rottenberg will be a panelist during a Monday morning session on "Investing in Emerging Markets." She will be speaking about Endeavor Catalyst, a recently launched donor fund that is a passive co-investor in professional funding rounds of Endeavor Entrepreneurs. Initial supporters of Endeavor Catalyst, which has raised over $13 million so far and made two investments, include Endeavor Board Chairman Edgar Bronfman, Jr., LinkedIn co-founder and Greylock partner Reid Hoffman (also an Endeavor board member), eBay founder Pierre Omidyar and Pershing Square Capital Management founder and CEO Bill Ackman. "I'm gratified that the investment community is finally recognizing that entrepreneurs are creating huge opportunity and value all over the world," says Rottenberg. "Investors need to realize that the next great company could come out of Rio, Cairo or Jakarta just as easily as Silicon Valley."